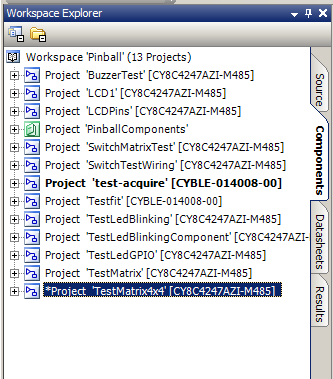 In the post entitled “Pinball: Matrix LEDs Component” I took you through the steps to create an LED Component. 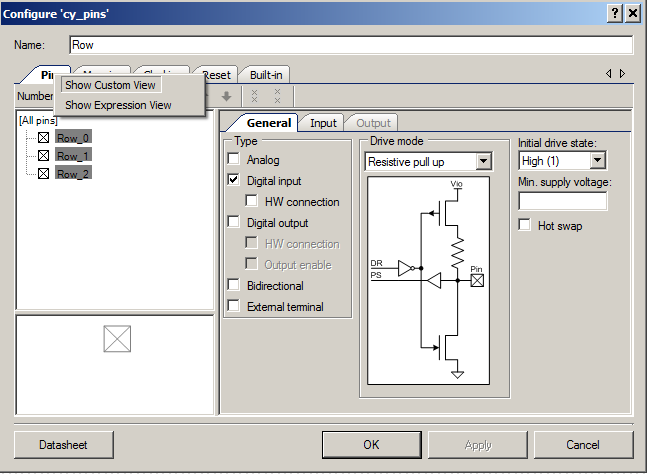 In this post I will take you through the steps to do the same thing, create a component, for the Switch Matrix that I talked about in the last post. Since I did the LED component I figured out how to embed the pins into the component and have a variable number. I am going to go back and fix the LED component. 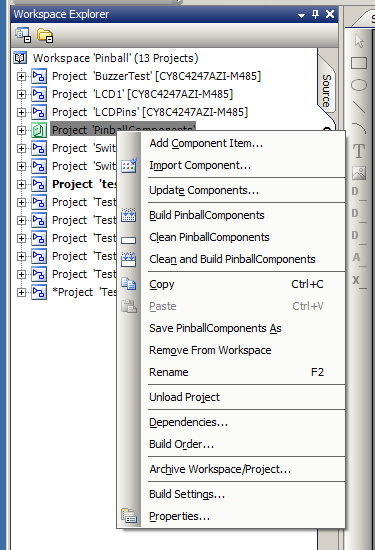 The first step to create the Switch Matrix Component is to click on the “Component” tab so that you can create a new component in the “Pinball Components” library. 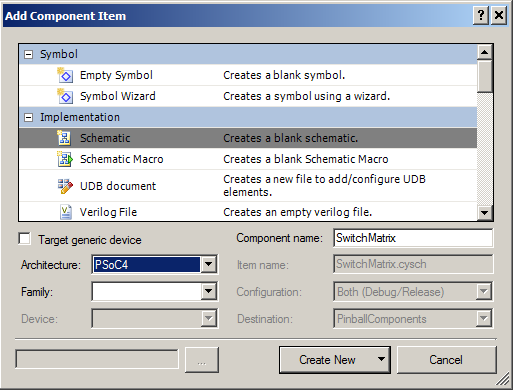 Start by creating a Symbol for the “SwitchMatrix” component. 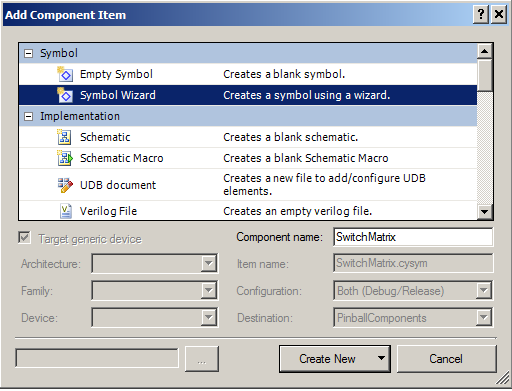 If you don’t want to draw all of the parts of the symbol then just use the automatic “Symbol Wizard”. 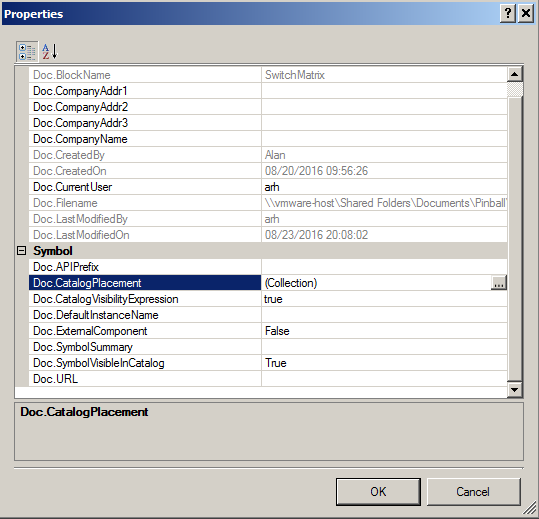 Next, add three component parameters, which will be editable by the user of the component. 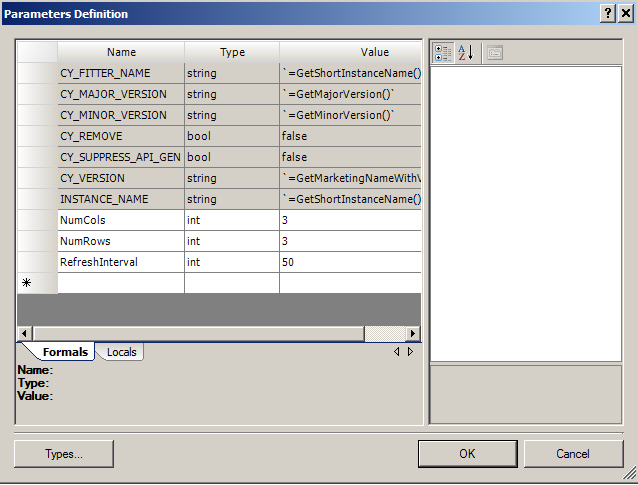 Do this by right clicking on the blank canvas part of the symbol editor and select “Symbol Parameters…”. 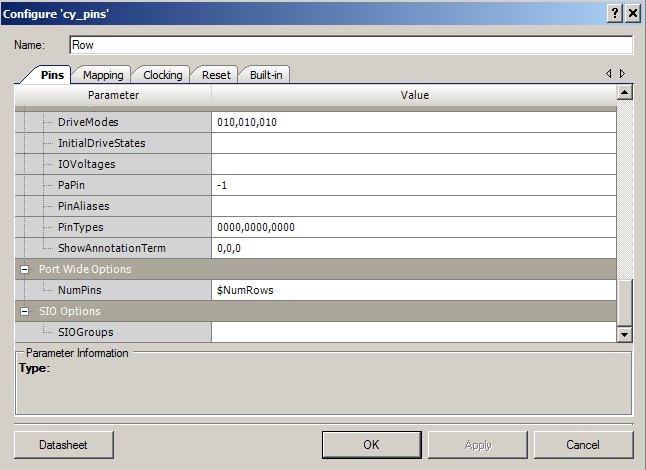 Add NumCols, NumRows, and RefreshInterval. These will be usable in your source code as $NumCols, $NumRows and $RefreshInterval. For this component I want the user to be able to change the number of rows and columns. 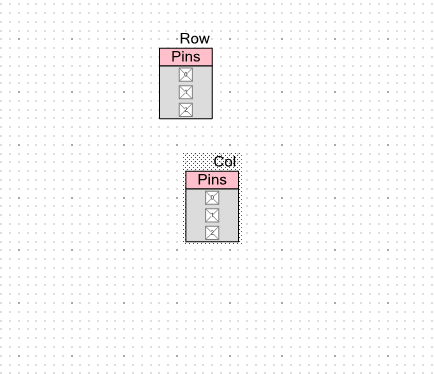 I will do this by embedding the row and col digital input/output pins inside of the component. And, the row,col pin components will be busses so that I can change the number. 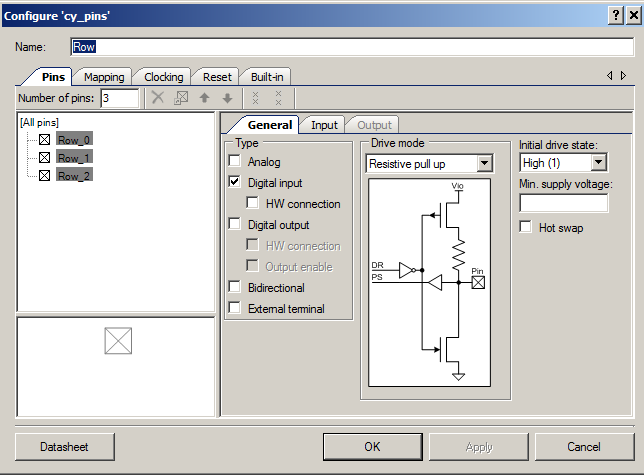 First, you need to add a schematic to your component to hold the pins. I need to place a digital input pin (for the rows). I select the number of pins to be 3 (this parameter will be changed by our customizer). Also turn on the pull up resistors. Then I place a digital output pin for the columns. Now I need to fix things up so that the user of the component can edit the number of pins. To do this, I need to be able to edit the hidden parameter on the Cypress pins component which has the property of the number of pins in the bus. To do this I first need to enable the secret menu which lets me edit the raw parameter. 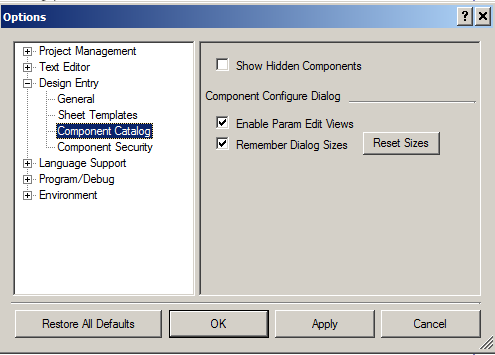 This is on the Tools->options->design entry->component catalog menu. You can see the “Enable Param Edit Views”. 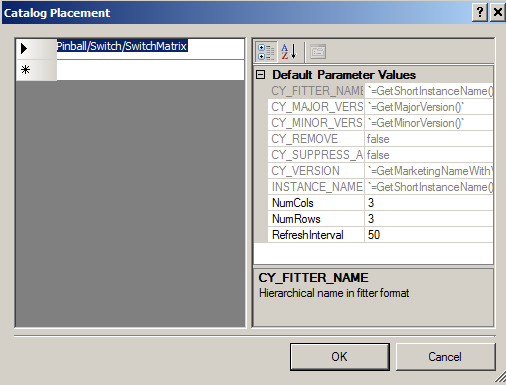 By selecting this option you will be able to edit the raw parameter values on the components. Lastly, do exactly the same thing for another pin for the Columns. In the next post I will show and explain the source code for the component.